"Dare to be great, Ms. Caucus"
Michael Moore has spent more than 25 years in the legal profession in private practice, as General Counsel for a public corporation, as a retained legal recruiter and consultant and as a law firm executive. Michael has helped law students launch careers, associates become partners and partners advance their practices to new levels. He specializes in professional growth, marketing and client development and leadership coaching for attorneys at all levels of experience. 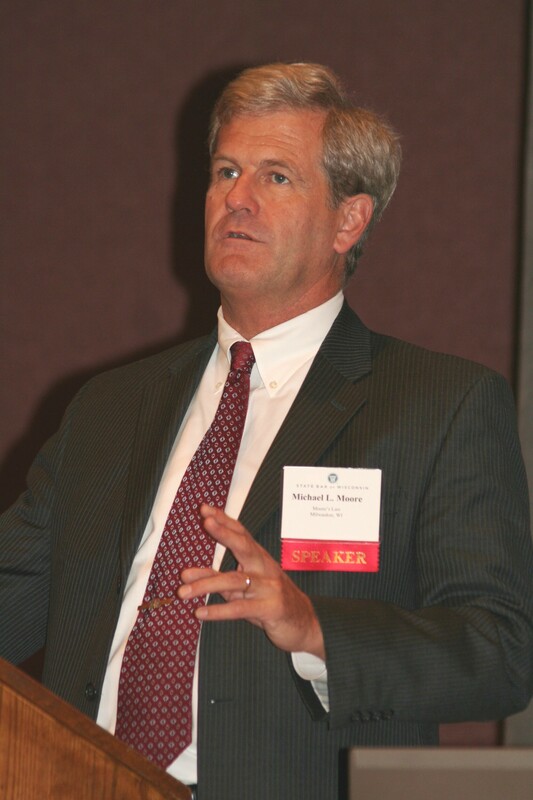 Michael Moore provides value to law firms through strategic organizational and resource optimization. He has implemented proven methods to increase both associate and partner productivity, improve operational results and increase profits. He has helped firms with strategic planning, marketing programs and lateral recruitment as a growth option. Michael has published numerous articles on a variety of legal topics such as effective client development, social media use for lawyers, and law firm management including lawyer compensation, staff retention and smart growth. A few examples of his work can be found in the Articles section. Michael has also conducted Webinars, seminars and retreats on behalf of various law firm administration and bar associations with topics such as effective client intake, matter budgeting and time management skills for lawyers as well as both strategic and succession planning. If you think Michael could help you or your law firm, contact him at once for a free consultation.